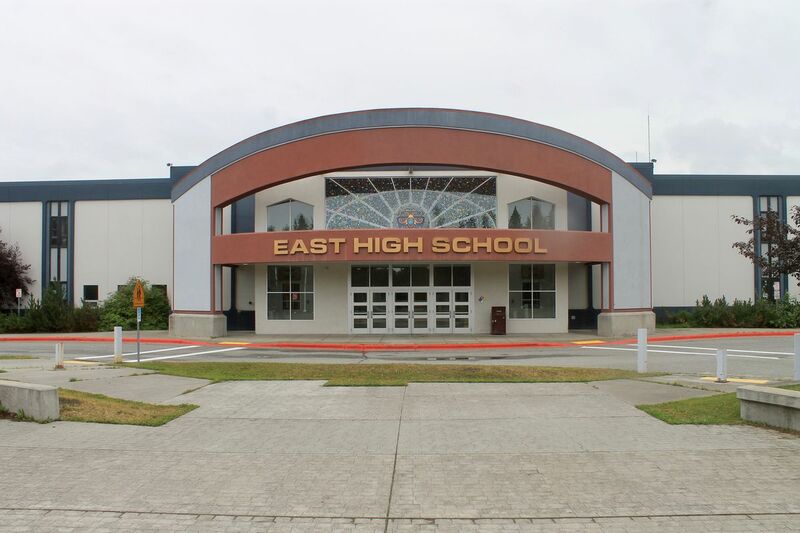 Students at East High School in Anchorage were sent home an hour early Thursday after the school received a bomb threat that morning, the Anchorage School District said in an emailed statement. The details of the threat were not immediately clear. Officers combed the building and spoke with school staff Thursday afternoon, looking for “anything suspicious” to determine whether the threat was credible, according to Anchorage police spokesman MJ Thim. “We take every threat seriously and this one is no different," Thim said. No information was available about the content of the threat or how it was received, Thim said. It’s also unclear how long it will take police to determine whether the building is safe, he said. Students were bused home starting at 1 p.m., the district said. Parents were also given the option to pick their children up at the gym. The Anchorage School District said it had no further information about the threat beyond the information East High parents received.